A Maiden Auction Stakes over 6f on heavy, soft in places. A large field of predominantly lightly raced juveniles with three debutantes. Of those making their racecourse bow, Richard Fahey's youngster makes most appeal. This talented handler features respectable win and place claims with his debutantes. Art Storm - a son of Excellent Art - is one of the more expensive horses in this field costing 20,000euros. The betting is the best guide to this juvenile's chance. If priced 13/2 & less, this chestnut colt could go well. However, in these testing conditions, on a course where it pays to race prominently, inexperience can be costly. Reg Hollinshead may only train a small string of juveniles but he has vast training experience. Divine Reward was a cheap breeze up purchase at £12,000. This American bred gelding may prove to be a very astute buy. A good-looking sort, it could be telling that his trainer started this bay's career in a Conditions Stakes race at Salisbury. Upon seeing this engagement, I thought Divine Reward would almost certainly be outpaced and have little hope of even being in contention against a number of previous winners. However, connections' confidence at facing such a test were justified with a gritty performance in third. By all accounts this is a step down in class. The stable's two-year-olds often improve for their debut and this looks a golden chance of winning today. Tim Easterby fields three horses, two who are of interest. Medici Dancer hadn't shown a great deal on her first two starts but went close last time in a four-runner race when second favourite to a big odds on. This daughter of Medicean gave favourite backers a heart attack when taking the lead only to have victory stolen from her in the dying strides. This filly clearly enjoys the mud because conditions were very testing at Newcastle. Perhaps the main concern is wondering whether the winner was hindered by the heavy ground. With being such a small field that day I would be careful if she starts at short price. The ground will not be a problem but she may have limitations. The stable is also represented by Faffa. Tim Easterby quoted this chestnut gelding was very lazy at home although those comment may have been spoken tongue in cheek as this youngster travelled with purpose for much of that race. In fact this 800gns purchase touched odds on in-running, before tiring in the final furlong. This son of Araafa comes from a good family and bred for a stiffer trip so it was encouraging to see such pace over five furlongs albeit on heavy ground. I would suspect this gelding with travel well and could touch much shorter odds mid race. Not the easiest horse to assess but I would favour this of the Easterby entrants. Could hit the frame at fair odds. Accelerant ran in the same race as Faffa when relatively fancied in the betting. He finished one place behind Easterby's charge but may have suffered for taking a keen hold. Ryan often sends his better juveniles to York and there may be better to come if settling. Money often talks with this stable and if substantially backed take note. 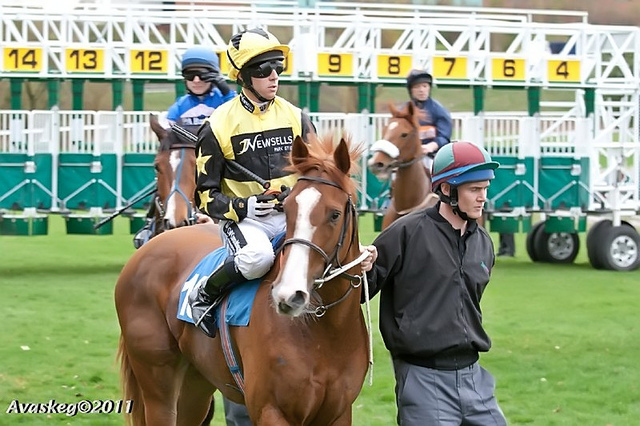 The stable field Dilady who was supported from big odds on debut when unplaced at Haydock in heavy ground. Amy Ryan is fighting for the apprentice jockeys' title and her father has been keeping a steady flow of winners. If priced 13/2 & less, this bay filly has sound each way claims. Dewi Chinta hails from the same stable but showed little on debut. Once again, the betting is the best guide, if within their best betting guide holds claims. Conclusion: A tricky race in ways. With testing ground, limited if not moderate form lines for many it could be a race of surprises. Divine Reward sets the standard if that first start can be believed. Hollinshead's gelding is a good-looking sort who plugged on well in a strong race when considered in the context of this race. There should be improvement from that debut and by all accounts this is a drop in class. A tentative each way selection if prices allow. Faffa showed a glimmer of ability at York, a course the trainer sends his better juveniles. It is worth noting he touched odds-on in-running that day and could well travel like a winner here. If fitter today this cheap buy could run a big race and at the price may be something of a dark horse. Dilady is likely to go best of Kevin Ryan's trio. A sound each way chance if priced 13/2 & less.